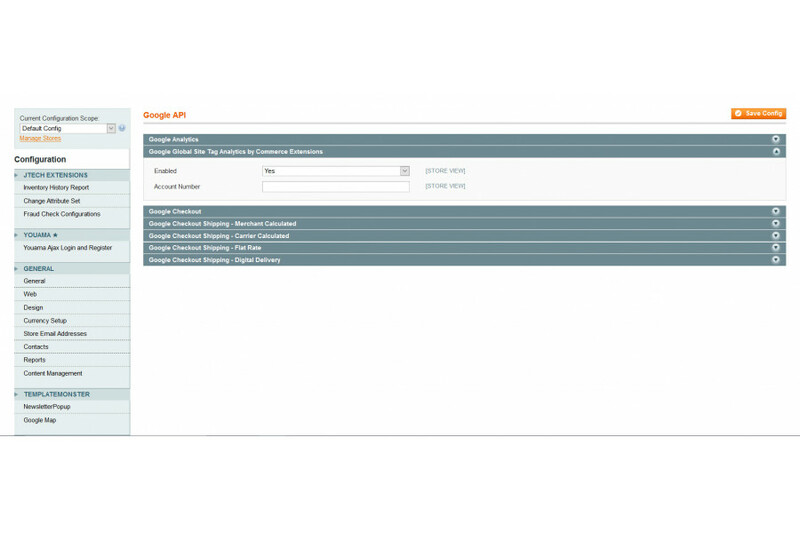 Get Google Analytics Gtag tracking script for Magento. Replaces Legacy and Universal tracking scripts. Google Analytics Gtag tracking script replaces Legacy and Universal tracking scripts. It is the new default Analytics code that provides enhanced support for cross domain tracking, multi-device tracking, and event tracking. Simply install the extension, input your Analytics ID, and you now have the most recent version of Google Analytics tracking.